I don’t know about you, but I HATE clutter. I just can not get anything done when I feel like there is to much stuff. 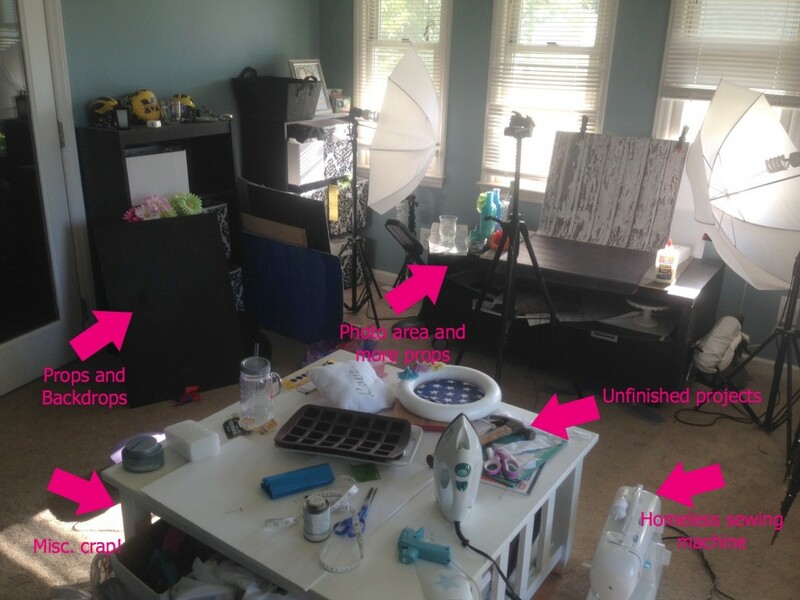 And let me tell you, my craft room/office was just that… CLUTTERED! 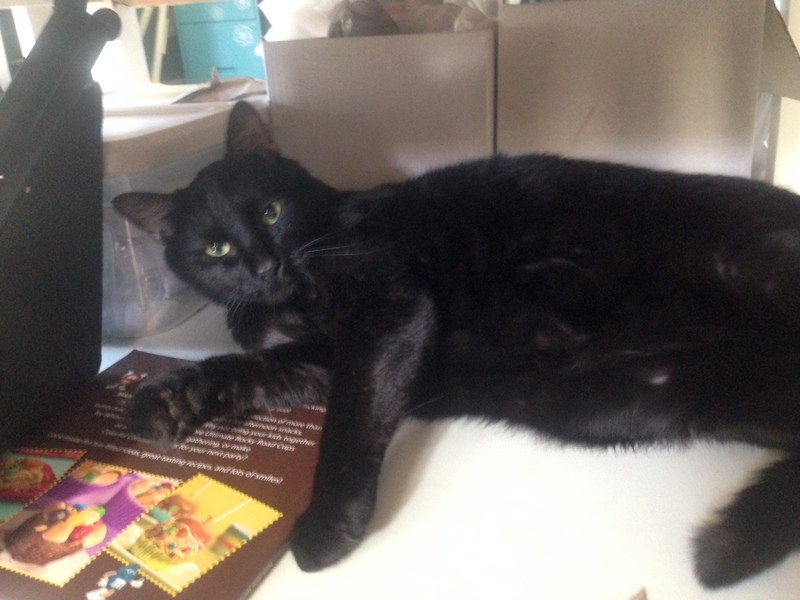 Between unfinished projects, a homeless sewing maching and my photo studio, there was just too much to deal with. 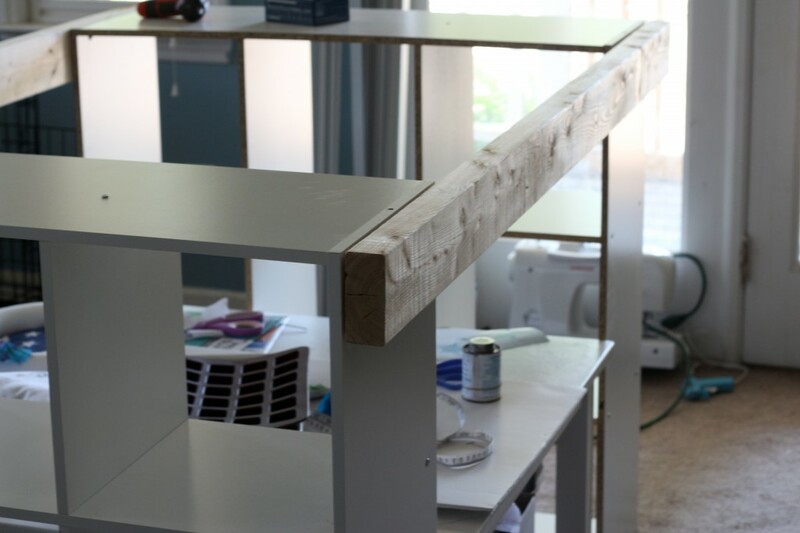 Nevermind that I was using a coffee table as a craft table, and you can only imagine how my back felt after a day of leaning over that thing! I feel better when everything has a place, and I love my coffee table, but it just was not working for me any longer. 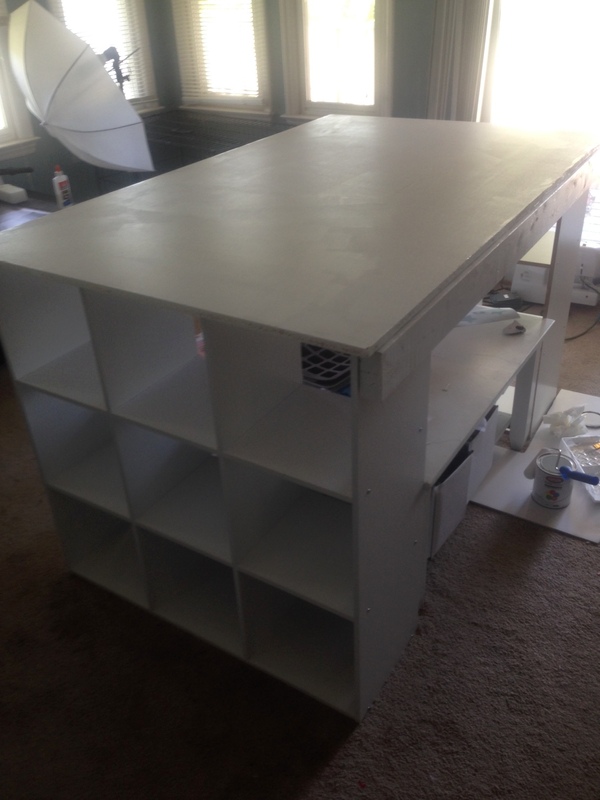 I couldn’t bare parting with it, so I decided to incorporate it into my new DIY craft desk so that I could have some extra storage, and my kids could still use it as a craft desk. After searching for a desk that would fit my needs, I found this beauty but could not foresee myself spending that much, plus I feared it may be too small. So, I decided I was going to build my own and any reason to use power tools is a plus! First I put my two 9-cube organizers together and placed them on each side of my existing coffee table. 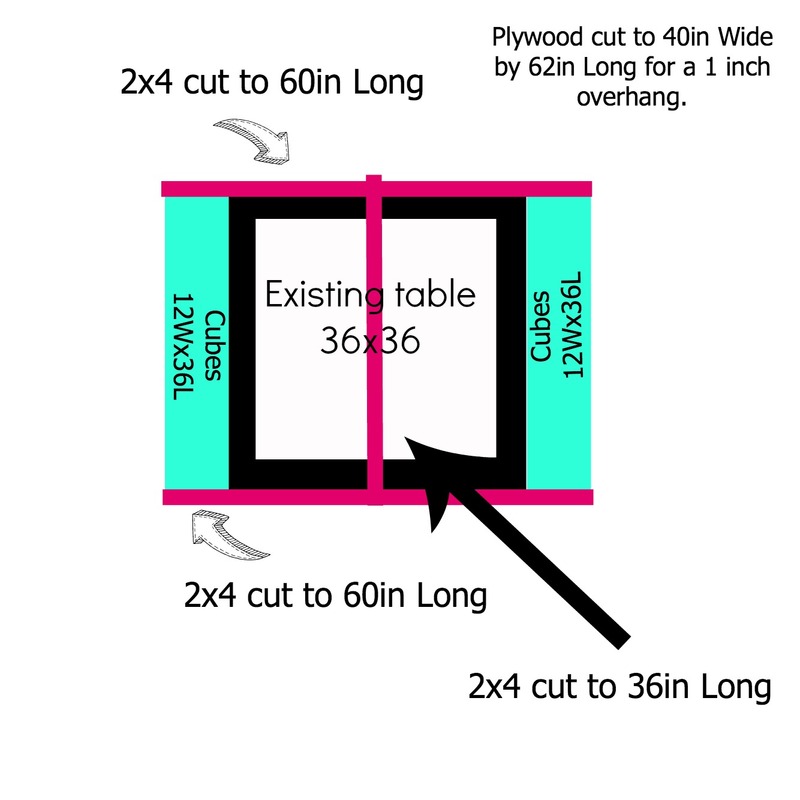 I than cut my two 2×4 pieces of lumber to size and secured them to the organizer by screwing them in from the inside of the organizer. 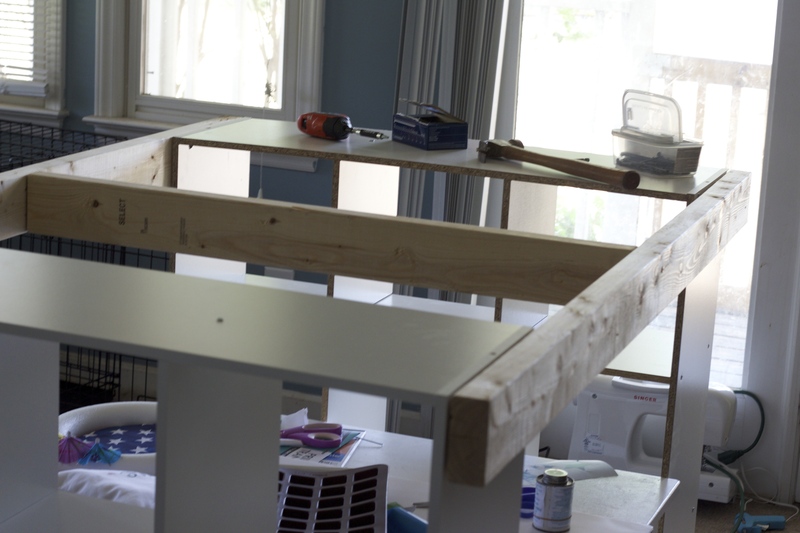 Next, I used the 2 1/2 screws to secure a center support so that the top did not end up bowing in from use. 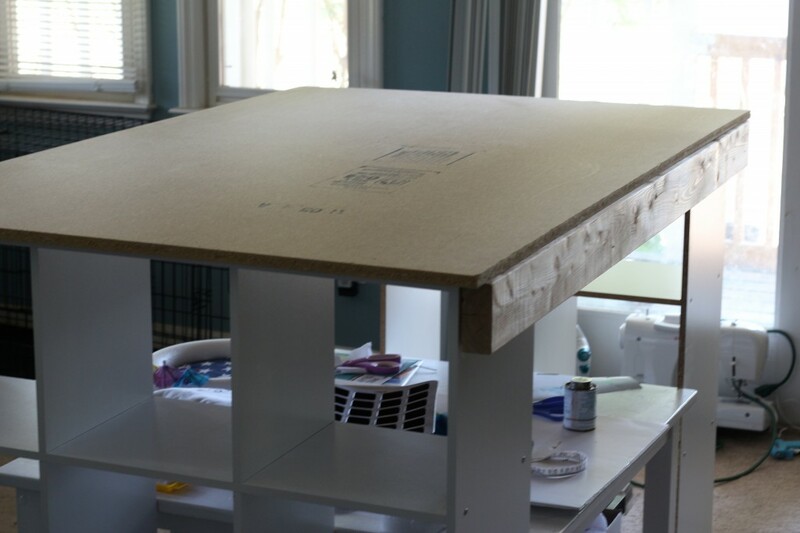 After everything was secure, I placed my plywood top on. 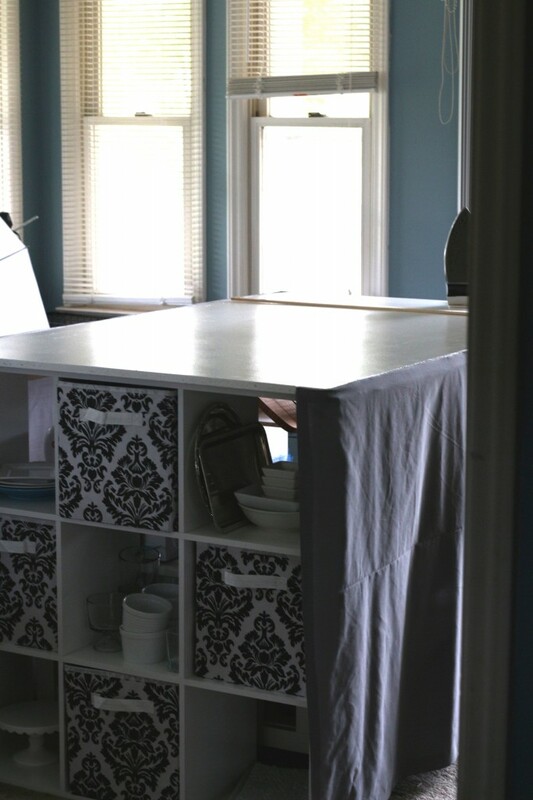 If you can find a melamine coated piece large enough, I recommend using it so that you do not have to paint. My local store did not have any large enough for my project though. I secured the top by screwing in 1 1/3 screws from the underside of the organizers. I than finished off the top with 2 coats of enamel paint. To finish it off, I used some fabric I had laying around to give it a skirt on the two open ends. Now everything has a home, and I can display some of my dishes I use for food photography instead of having them tucked away in a corner! I am super happy with the way it turned out, and now I can not wait to get crafting again! I think Eclipse our cat is happy for a nice new hideout as well. What fantastic job! I am jealous of your organizational skills. I love it! I totally want to make one now, I just wish I had room for one, haha. You should come share on Snickerdoodle Sunday! Opening at 5pm ET on Saturday and closing at 8am ET on Tuesday. We hope to see you there! I love this project! Really creative and three cheers for organization! 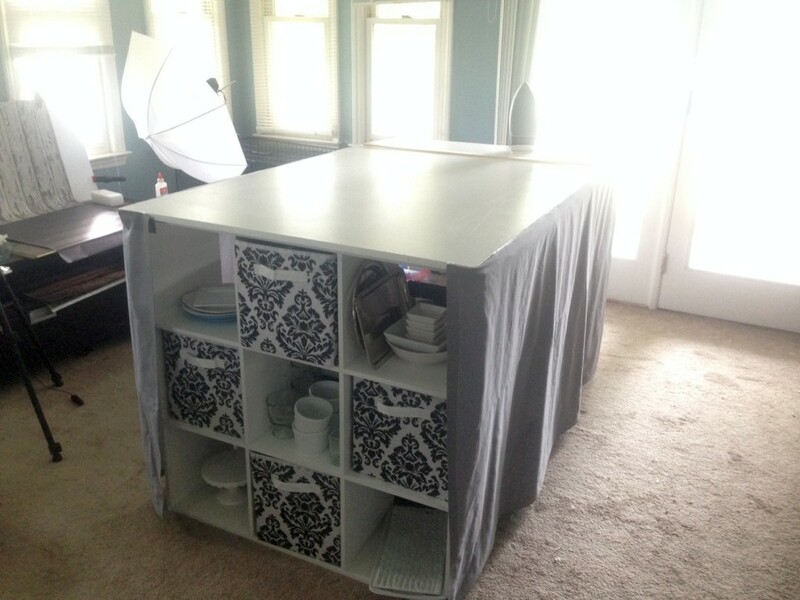 I LOVE this and I definitely need to make myself one of these because my recipe and craft work areas are out of control!